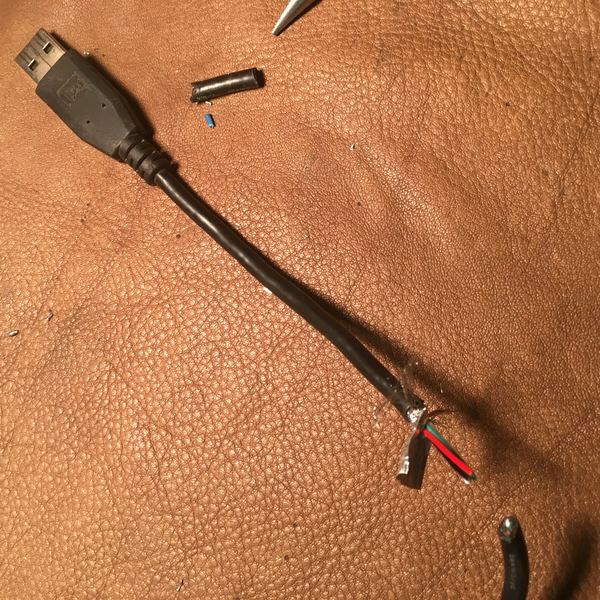 This is a simple step-by-step guide to making a USB bare wire power cord to be used in various Arduino projects. I needed it for a water quality sampling project I'm working on and I thought it might be of general interest. This is an old Blackberry USB power cord discarded from a previous life. 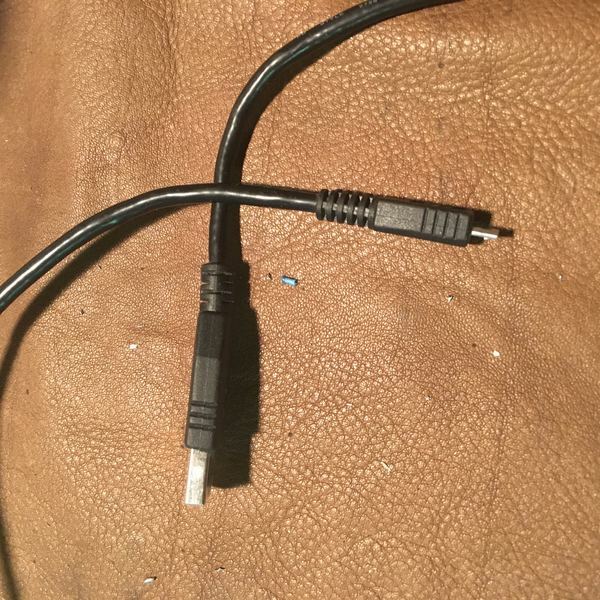 Simply cut the cord to the desired length (from the USB end). I don't know how long a cord I need so this may actually be a bit long. 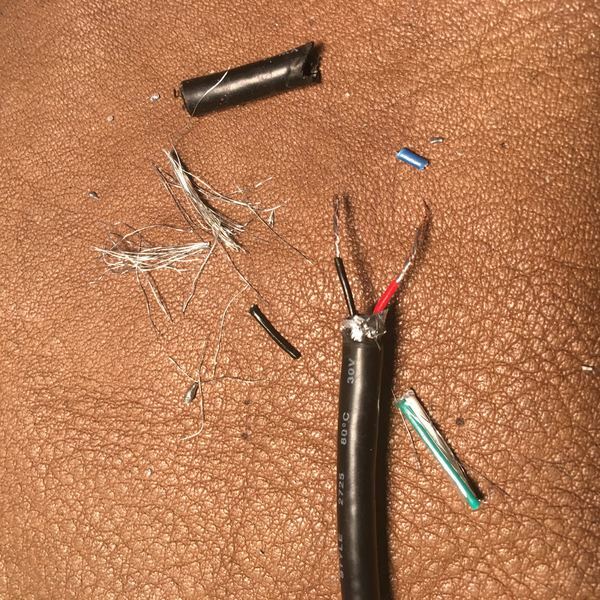 This cable is older and has a relatively thick foil shield. The only wires of interest are the black and red wires. Trim everything else away. 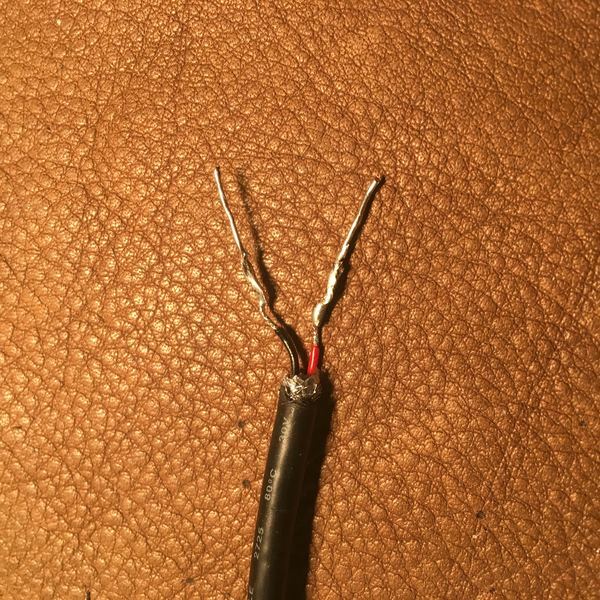 It will be convenient to solder two solid pieces of wire onto the red and black twisted wires. I put shrink wrap around the individual wires (didn't seem to have any small black shrink wrap so blue is the new black) and then shrink wrap around these and then shrink wrap around the whole thing. Finished! 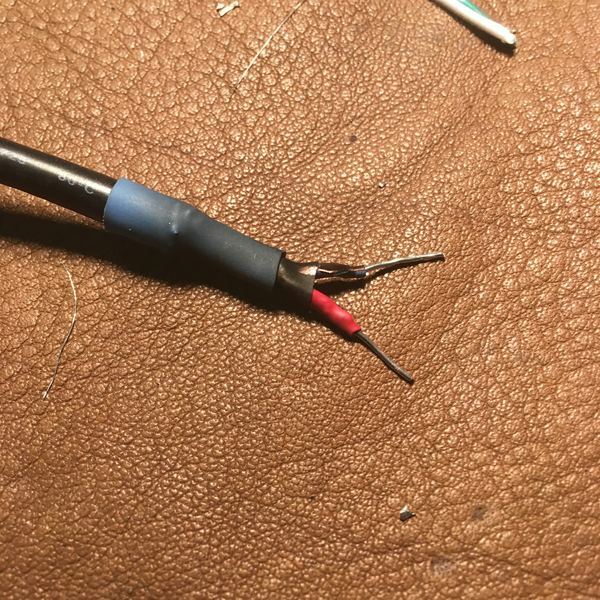 The wires can now be used easily connect directly to a project or to a connector such as a barrel connector. 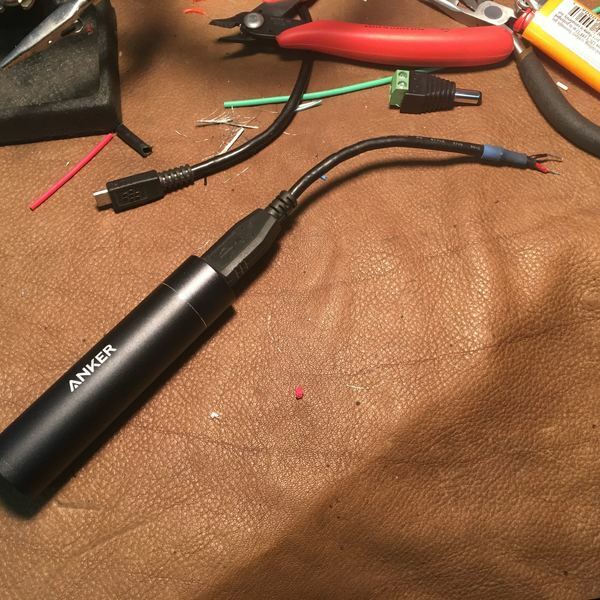 Note: The rechargeable Li-ion battery happens to be a bit less than 1" diameter so I'm hoping all my electronics and battery will fit inside a standard PVC tube. This is a great trick. I have made a bunch of these. 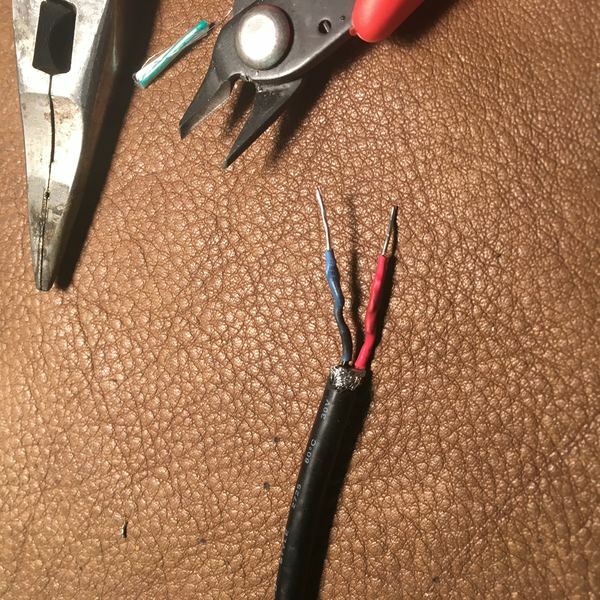 If you are doing this with a cheap USB cable, you might want to check the red and black wires before you do all the soldering. I have bought a lot of USB cables on eBay and many of them do not use the red and black wires for power. 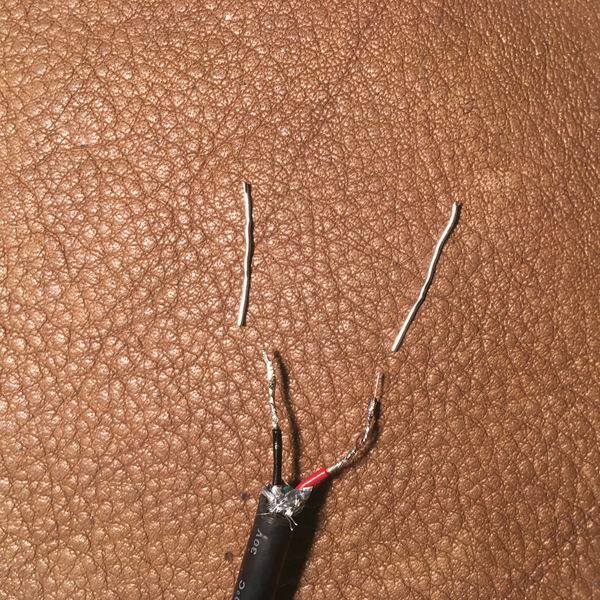 Two of the wires supply power, but it's often a random pair. On the other hand, a very large proportion of the USB cables I buy on eBay have only two wires. These are manufactured as charging cables and supply power but cannot transfer data. Of course all of the product descriptions on eBay say they are data cables. So I keep buying more in hopes that I will get data cables so I now have dozens of these charging cables. Let me know if anybody needs some. Love this! 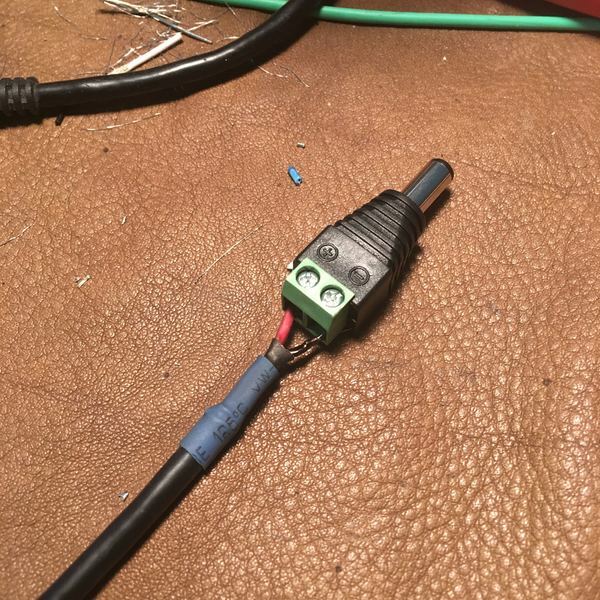 I've also done this and love "cannibalizing" old cables. +1!